US Banks enjoyed more or less steadily climbing, or rather soaring, deposits by Russian institutions and individuals, having tripled in just two years to $21.6 billion by February, according to the US Treasury. It may seem a bit counterintuitive that in times of ZIRP anyone would put any money in any US banks, and it may seem even more counterintuitive that Russians who have other opportunities with their money would voluntarily subject themselves to the Fed’s financial repression. But from the Russian point of view, earning near-zero interest on their deposits in the US and losing money slowly to inflation must have seemed preferable to what they thought might happen to their money in Mother Russia. Money that isn’t nailed down has been fleeing Russia for years, even if it ends up in places like Cyprus where much of it sank into the cesspool of corruption that were the Cypriot banks, which finally collapsed and took that Russian money down with them. By comparison, the US must have seemed like a decent place to stash some liquid billions. They certainly didn’t wait long to move the bulk of their money to other jurisdictions, those they believe perhaps erroneously to be beyond the reach of the long and sinewy arm of the US government. 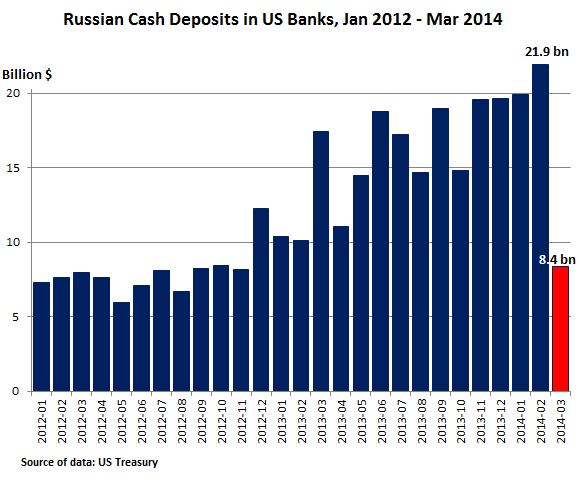 Will Russians bring their deposits in US banks to zero? The Treasury will publish the April numbers in a few weeks, but zero seems unlikely because they’ll need some pocket money to operate in the US. Is this Russian run on American banks going to cause the collapse of the US financial system? Or at least of a bank? Or at the very least make that bank shudder at its foundations? Um…. These $21.6 billion in deposits represent about 1% of the nearly $2 trillion in foreign non-negotiable deposits at US banks and an even more minuscule share of domestic deposits, some of which end up parked at the Fed as excess reserves. Heck, the Fed, in its infinite wisdom, printed $4 trillion over the last five years, so that measly $21.6 billion isn’t even a rounding error on that scale. 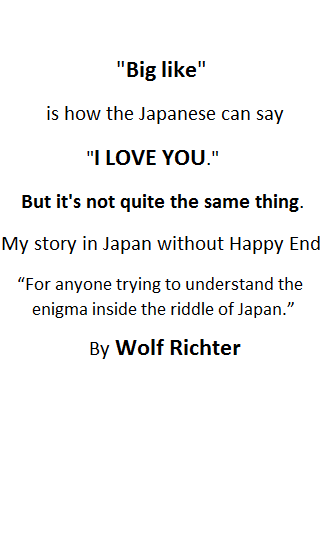 Also read…. Russia Dumping US Treasuries? But Why the Heck in Belgium?